Ah England. The smell of freshly mown grass, the clink of ice cubes in a Pimm’s glass, the sight of those dreamy spires, the feel of water flowing past your punt. Yes indeed, it is a country that, for at least five days a year, has weather that makes it worth a visit. And the towns are good for visiting pretty much year round, if the rain is beating on the meadows and dales. Today I’m going to highlight four of my favourite English cities that should be considered for inclusion on any visit to this fair isle, followed by some ideas about how to get to them. Enjoy! London. For the longest of times, this was my least favourite city. Overcrowded and overpriced, and full of people who wouldn’t shut up about how amazing it was. The poor, misguided fools. Then I had the pleasure of living in London for a couple of years, and I finally got it. London really is a city unlike any other in the UK. There is always something going on – from live music to theatre to street performances. It has countless interesting places to explore – from the alternative madness that is Camden Town, to the gorgeous greenery of its inner city parks, to the superb pubs and eateries, to the extensive free museums and art galleries. I rapidly found myself becoming one of those people who would go on and on about the virtues of London, no doubt to the great vexation of those who hadn’t got it yet. Trust me – it’s worth your time to discover. 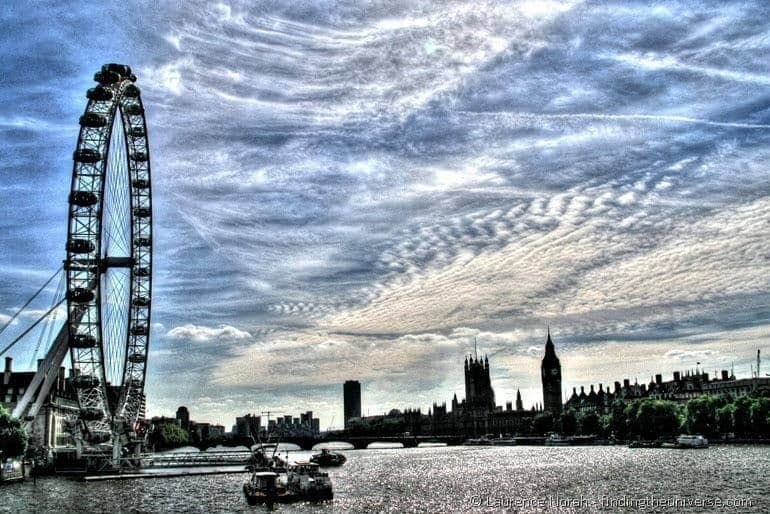 Don’t miss: Taking a walk along the south bank, enjoying a picnic in Hyde Park, watching the sun set from Primrose Hill, catching a show in the West End, shopping on Oxford street, enjoying a pint anywhere. Home to the university that gave the world Halley (of the comet), Wilde (the writer), Tolkien (the Hobbit) and Hawking (the physicist), Oxford is a dreamy little town that will make you feel more intelligent just by wandering its cobbled roads. The city is a tiny place, and easily wanderable in a day, with the University buildings being the main draw, particularly after starring in the Harry Potter film series. The Thames river also passes through here, but for its visit to Oxford it briefly becomes the Isis River. I’m sure there’s an excellent explanation for this, but it’s almost irrelevant, the important thing being to grab a bottle of Pimms and take yourself on a punting tour. For those of you not in the know, a punt is a long, flat bottomed boat that is propelled by means of a long pole. It’s nowhere near as easy as it sounds, and I can recommend nominating yourself as the navigator, and finding someone who knows what they’re doing to provide propulsion. 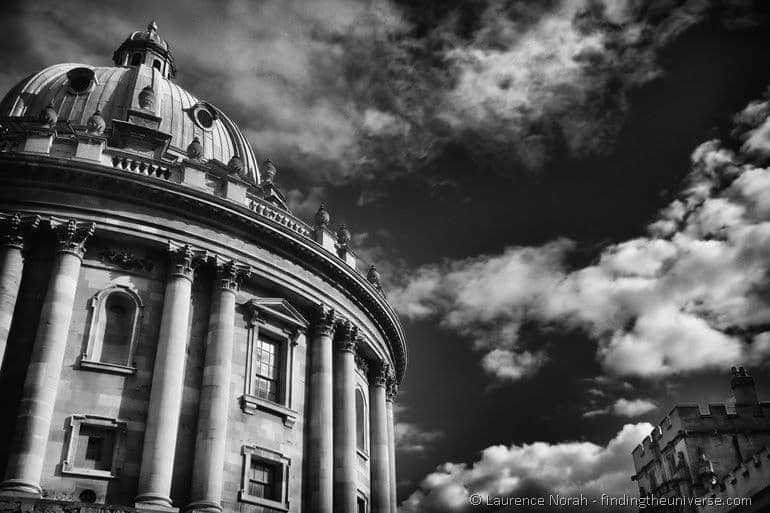 Don’t miss: Having a punt on the Isis, getting your Inspector Morse on, taking in those dreamy spires on a University visit, feeling intelligent in the Bodleian library. Way up in England’s distant northern reaches, where people add extra T’s to the language, and extra tea to their fluid intake, sits the Viking encampment of Jorvik, known today as York. 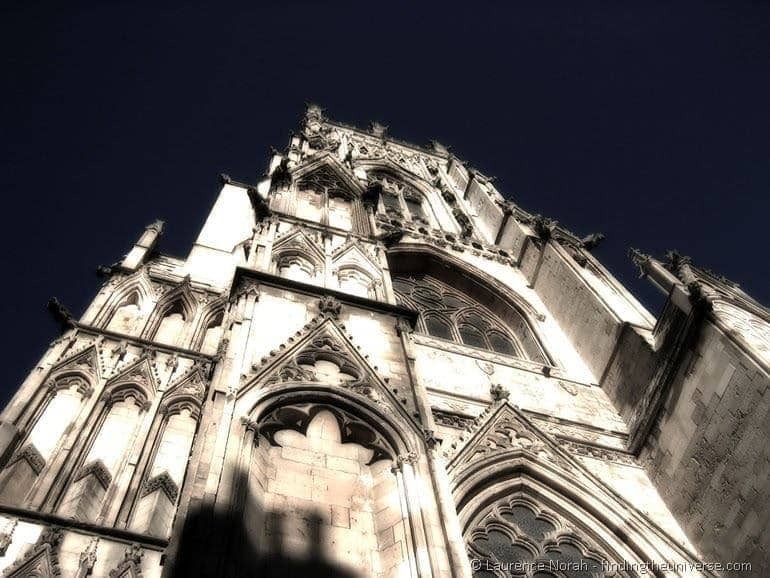 Actually, York has a history that goes back way before the vikings, with everyone from the Roman’s to prehistoric man having had a go at living here, but it seems to be the Viking connection that interests most. York though, is about a lot more than Vikings. There’s a warren of backstreets known, rather fantastically, as the shambles, within which you can wander, lost, to you hearts content. There’s a huge cathedral, known as the Minster, from which you can achieve a wonderful view across the roofs of the city. And of course, there are countless establishments within which you can try a proper Yorkshire cup of tea, and pass the time talking about cricket, the national sport of Yorkshire. Don’t miss: Getting lost in the shambles, being scared silly on a ghost walk, the view from the top of the Minster, learning all about the vikings in the Jorvik Viking centre. Over in England’s west country, where the local dialect is perhaps even more difficult to understand than Yorkshire, sits the sea faring town of Bristol. This was home to Isambard Kingdom Brunel, arguably the greatest engineer that England has ever produced, the man responsible for putting together the first steam driven iron hulled passenger liner, the great western railway and a whole host of bridges, dockyards and tunnels, which essentially revolutionised both public transport and modern engineering. 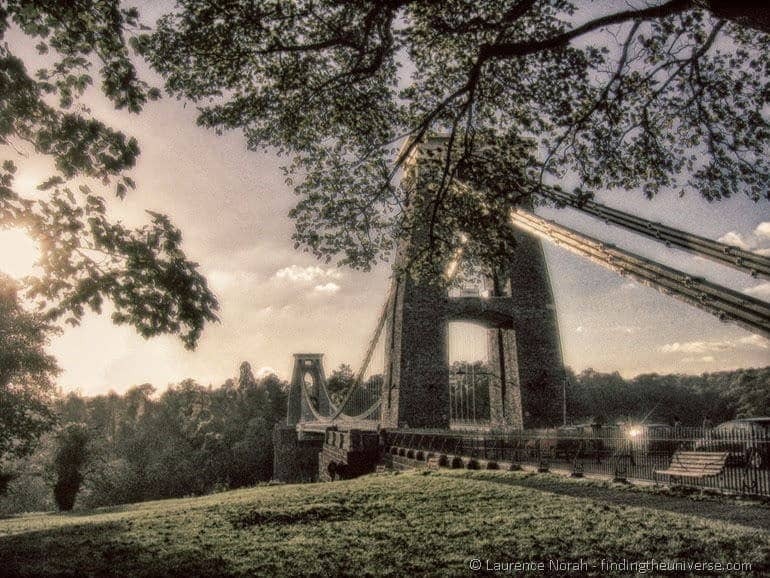 You can find the hallmarks of Brunel around the city, with two of the most prominent highlights being the SS Great Britain (that iron steamship) and the Clifton Suspension Bridge, which at the time of construction was the largest bridge in the world. If bridges and steam aren’t your thing, there is plenty more to get excited about in Bristol, including cider, the local beverage of choice, a thriving arts and cafe scene, and a whole host of interesting festivals and events throughout the year. Don’t miss: Getting lost at sea on the SS Great Britain, knocking back some cider and waking up in a field, peering off the mighty Clifton suspension bridge, being wowed by hot air balloons at the annual balloon fiesta, learning about pirates on a themed walk. I have a long held view that the best way to get around somewhere like England is the humble automobile. You can travel at your own pace, stop off at interesting sights on the way, and be a slave to no man. Except of course your vehicle. If you’re taking your own, then be sure to grab breakdown cover to cover any mishaps, if you’re using a hire car then you should be sorted depending on your policy. We recommend that you take a look at Priceline to compare car hire deals across 17 different providers, including the biggest names in the business, to get a great deal for your trip. Another great option, particularly for cities, is the train, which will take you right into the heart of all of these cities. If you base yourself in London, then all of the other cities on this list are accessible by train in one or two hours, making both day trips and longer sojourns possible. Book in advance to secure the best deals. I put together a detailed itinerary for a longer trip around more of the UK in a previous post, which should provide some ideas for a two week (or longer) adventure. I can also very much recommend taking at look at the Wikivoyage website, which has detailed listings for all the cities on this list, and should give you some ideas of what else to see and do, as well as options for sleeping and eating. Finally, if you prefer your research material to be of the hardback variety, then Amazon offer a variety of guides, including Lonely Planet’s England Travel Guide, and this guide from Fodor . *Note, some of the links in this post are revenue generating. Durham and Newcastle should be added to this list too.